During our SOTG Homeroom from Crossbreed Holsters, Professor Paul congratulates Kentucky for joining the Constitutional Carry club. 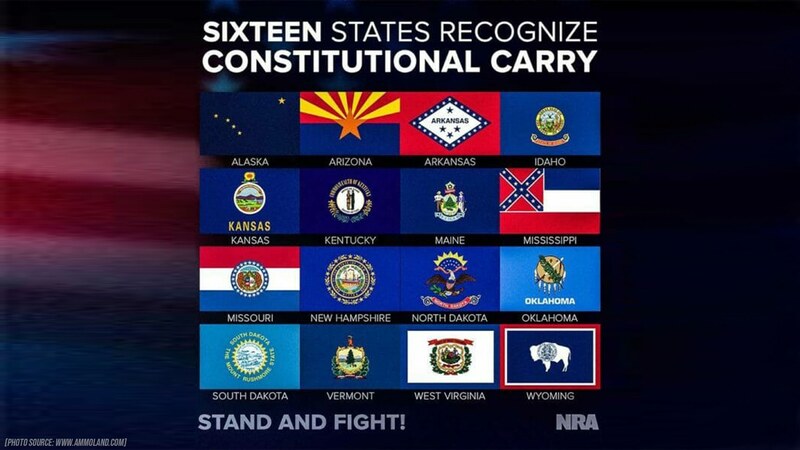 Sixteen states in the USA now respect the Bill of Rights when it comes to self-defense. How did the Winter Hurricane or Bomb Cyclone affect you? During our Brownell’s Bullet Points segment we will consider being prepared for the storms that come our way. Are you ready to be a blessing or a burden in your community? Finally, Professor Paul has a lesson teach. How do we equip firemen? How do we train them? What do we expect firemen to do when there is a fire? Recruiting season is over and training season is almost complete. Listen closely to what we have to say. Recruiting Season; If your friends and neighbors don’t see the light by now, they are not going to see it. Training season is coming to a close. Very soon you will face very real and hard decisions. In Wooster, Ohio, two women successfully started an all girls, Boy Scout Troop. Yes, you read that correctly, a Boy Scout Troop minus any boys. The natural question is, doesn’t the Girl Scout organization still exist? Why would women push to form a girls-only Boy Scout Troop? Serious psychological issues aside, this action is indicative of the way we are treating our boys in the 21st Century. Boys are being feminized, marginalized, and largely overlooked. We will address that very issue and offer real solutions (man skills) during the paragraphs that follow. On Monday, 11 March 2019. Governor Matt Bevin of Kentucky restored Constitutional Carry to the State of Kentucky. Bevin signed Senate Bill 150 into law Monday. It allows Kentuckians 21 and older who can lawfully possess a firearm to be able to conceal it without a permit.